← Quilters’ Weekend of Fun & Sewing!! At Christmas I wanted to give a special someone something home crafted – something small and useful. This earring holder was just the thing. It’s an embroidery hoop with fabric pulled taught and glued around the edges on the backside. Folded fabric flowers and leaves were added as decoration. When this is hung on the wall and filled with earrings, it looks like a piece of art. For me, I made this “sweater” pin cushion. 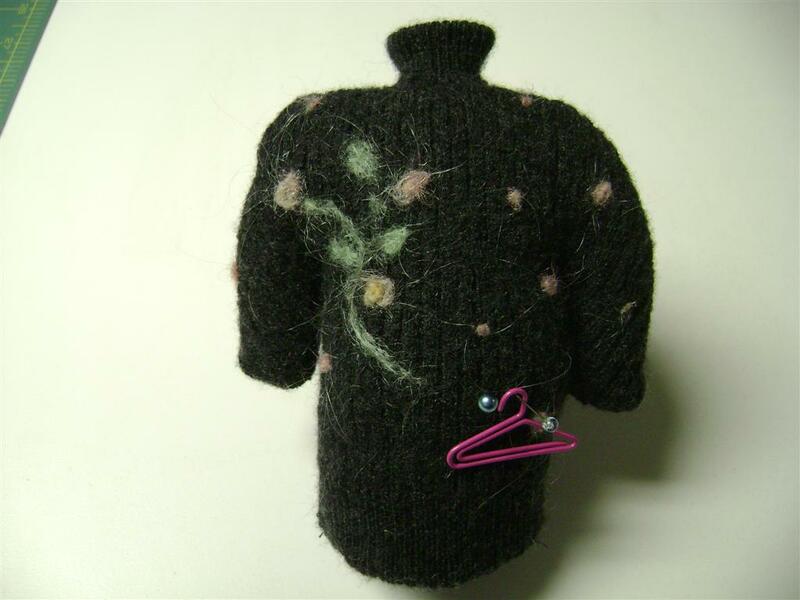 I found a wool sweater at a thrift shop, felted it, cut and sewed it to look like a sweater. Being gray, it really needed something, so I needle-felted the flowers on with wool roving. I just love the little hangar paper clip hanging from the pins. Hubby, however, just doesn’t quite get cutting a big sweater to make a little sweater. 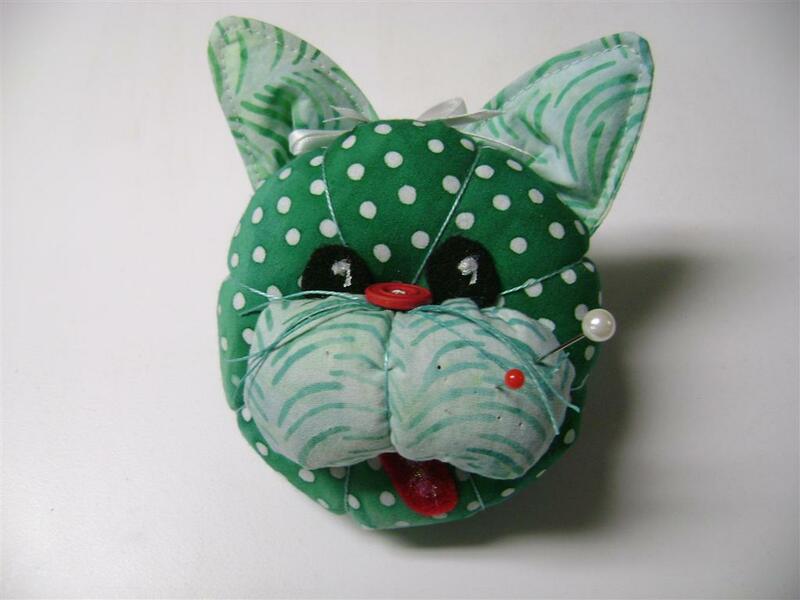 Then I just couldn’t resist this kitty pin cushion. This may be a “little thing,” but it is certainly not quick! I spent a day making four of them. Now if I can just find the pattern (it’s in my studio somewhere!) I’d like to make a couple more. And this past weekend here in sunny North Carolina, we had a “Little Snow.” Just enough of a coating to make things look pretty, but not enough to be a hazard. 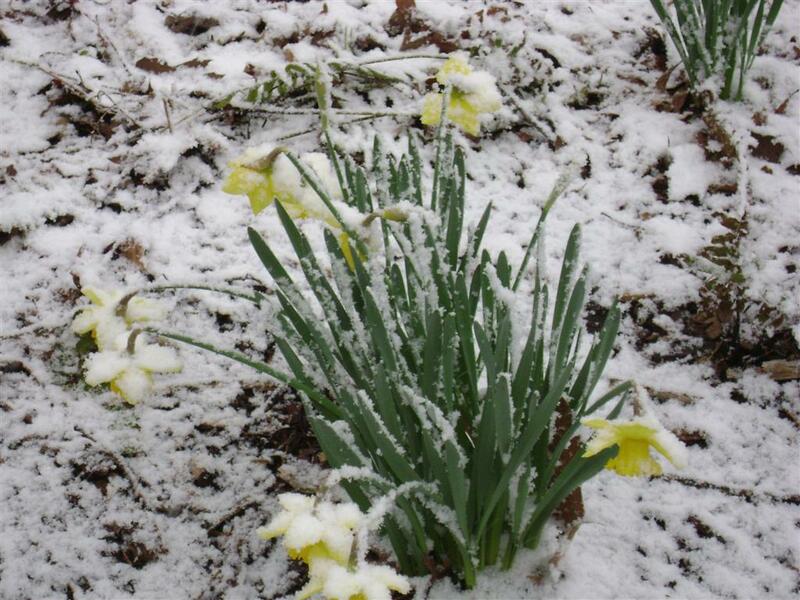 Not sure the daffodils appreciated it though. I do love the little things!